The Allied Mass-ter Mover unloading system will meet the high demand requirements in your round tank or flat storage applications. Components include reliable Dodge drive, roller gated wells, rack and pinion controls, control pipe kits and many other accessories to complete your system. Top performance, long life and reliability with minimal maintenance is engineered into each component. Fully enclosed galvanized steel housing (10 ga. bottom) surrounds heavy-duty chain, featuring Ultra High Molecular Weight (UHMW) polyethylene replaceable paddles, which assure gentle movement of bulk materials with minimal friction. 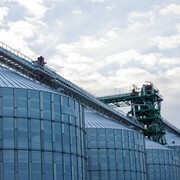 Three types of discharges are available: horizontal, incline or vertical.You will appreciate the grain moving efficiency with up to 50% energy savings over conventional conveyors. 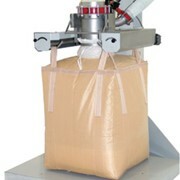 The Allied Mass-ter Flow drag conveyor is designed with the same quality features as the Allied Mass-ter Mover. Reliable Dodge drives, roller gated wells, rack and pinion controls, control pipe kits and many other accessories are available to complete your unloading system. 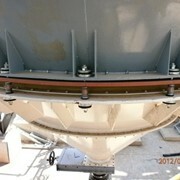 The Allied Mass-ter Flow is most economical in the higher capacities and where design allows horizontal conveyor only. High working strength roller chain is combined with tough Ultra High Molecular Weight (UHMW) polyethylene paddles for long life and smooth operation. 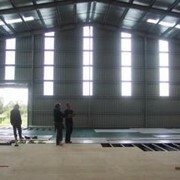 A10 ga. galvanized bottom is standard with a 10 ga. AR plate liner is optional. The Allied tube and U-trough type unloading systems are available in capacities for commercial applications, larger bins and flat storage structures. 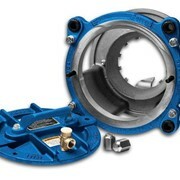 Components of this series are constructed of heavy gauge materials to withstand the rigors of high use. Even in smaller bins we recommend consideration of this series. The same high quality components such as reducer drives, roller gated wells, rack and pinion controls, control pipe kits and many other accessories are available with the screw type as with the en masse conveyors. 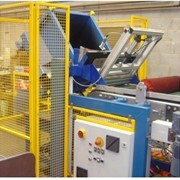 Allied Hutchinson's Commercial Klean Sweep is an outstanding performer for minimal investment. Heavy gauge components are used throughout to withstand the rigors of high usage. Klean Sweep for 48' and larger bins includes a sweep carrier assembly for extra support of flight and shield, two carriers for 90' and larger. 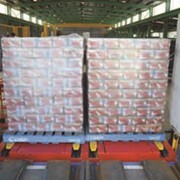 Klean Sweep is depicted with each series of unloaders. Dependable jack shaft drives are standard on the smaller sweeps with tough oil bath chain or gear reduction units being standard on the larger units. 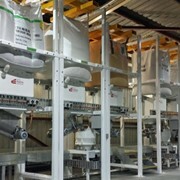 The Allied Commercial Power Sweep is a unique concept adapted to commercial type storage. 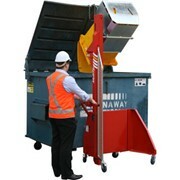 It offers the convenience of a bin sweep without a motor or wiring inside the bin. Power for the sweep is transferred from a motor on the back side of the tank through a drive shaft to a double gear box in the centre well. 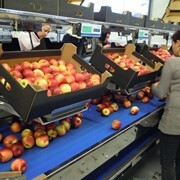 The Allied Commercial Power Sweep can be adapted to tube type U-through or en masse conveyors. 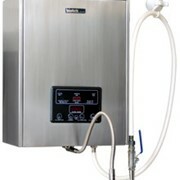 The centre well, intermediate wells, sweep and the sweep drive are included in the Allied Commercial Power Sweep unit. 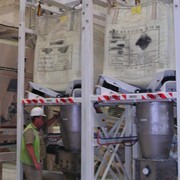 48'diameter and larger bins include a sweep carrier assembly for extra support of flight and shield. Pictured with tube-type unloader, which must be ordered.